If you only buy one book about Gallipoli....this is the one to buy! The Spirits of Gallipoli, A Centenary of Anzacs tells the stories of 100 Australian soldiers. Commemorate their deaths, but celebrate their lives. Connect with the men as you learn of their home, their families and their journey. 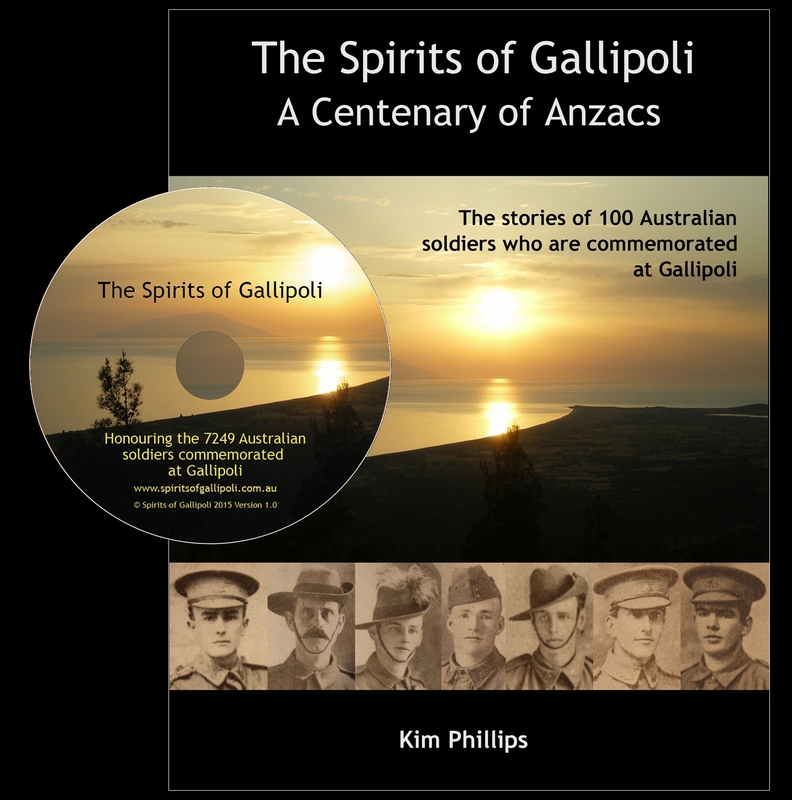 Accompanying the book is an interactive CD that pays tribute to all the Australian soldiers who are commemorated at Gallipoli. Never before have the details of the 7249 men been provided in full in the one place. Click HERE to see a sample. The CD runs in your browser and requires no new software. It works on both PC and Mac.